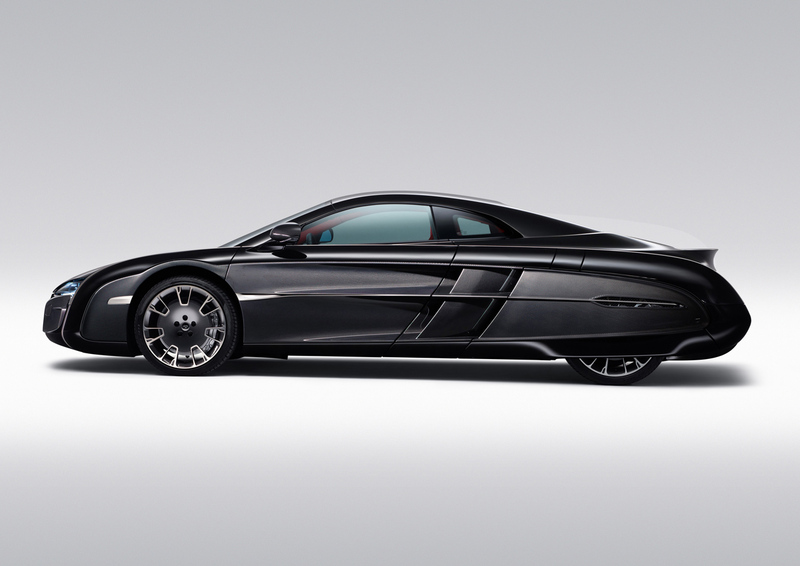 If you squint really hard, you’ll see it – the MP4-12C underneath it all. What you’re looking at here is the result of the McLaren Special Operations unit (MSO) fulfilling the bespoke design influences (and assorted visions) of an unnamed/anonymous McLaren customer/aficianado that displayed an open-chequebook philosophy towards his/her idea of what constitutes ‘vehicular exclusivity’ in this world nowadays. 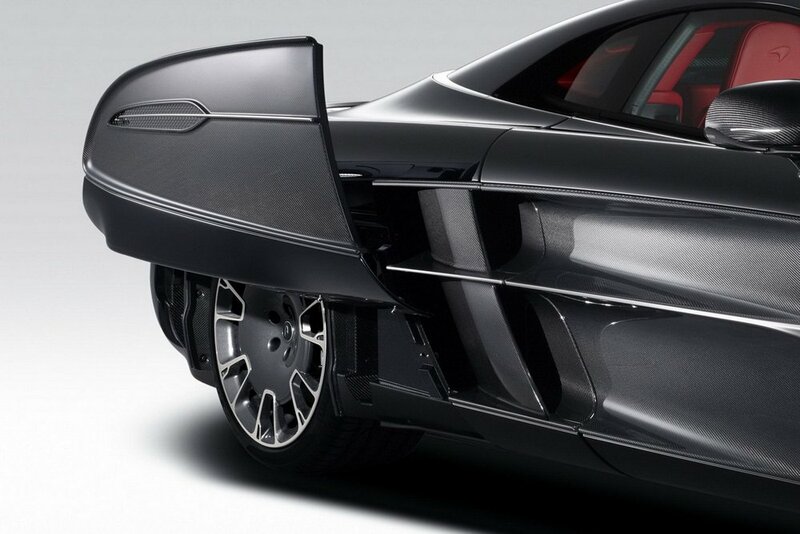 Indeed, the array of chrome flourishes, classic lines, faired-in rear wheels and added-on adenda aren’t exactly in-line with the typical McLaren un-fussy design philosophies… but it’s that marriage of McLaren engineering know-how and one person’s open-wallet exclusivity that makes this entire project so intriguing. 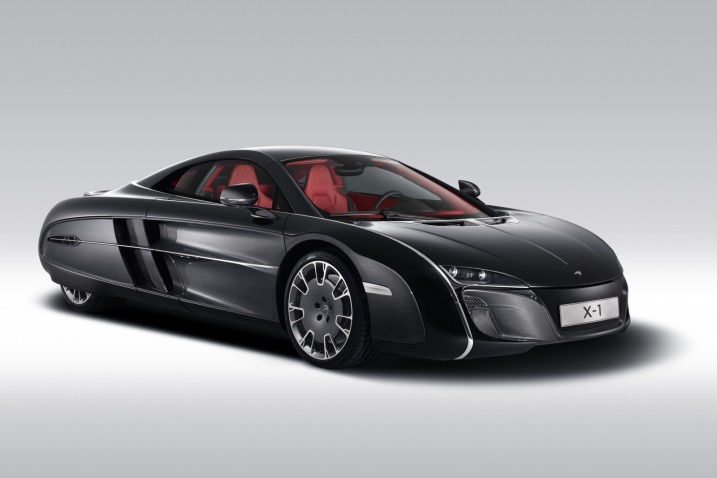 The X1 project was undertaken by McLaren stylist Hong Yeo with design chief Frank Stephenson and MSO Programme Director Paul MacKenzie close by to oversee the progress. The X1 vehicular influences are listed as: Buick Electra, Mercedes-Benz 540K, Facel Vega, Chrysler D’Elegance Ghia and the Citroën SM. Meanwhile, the architectural influences are listed as: the Guggenheim museums in New York and Bilbao, grand pianos, Airstream caravans, a Thomas Mann Mont Blanc pen and Audrey Hepburn (?). Granted, those are some heady points of navigation and yet when all encompassed, seem to work, given their grandeur and societal poise. 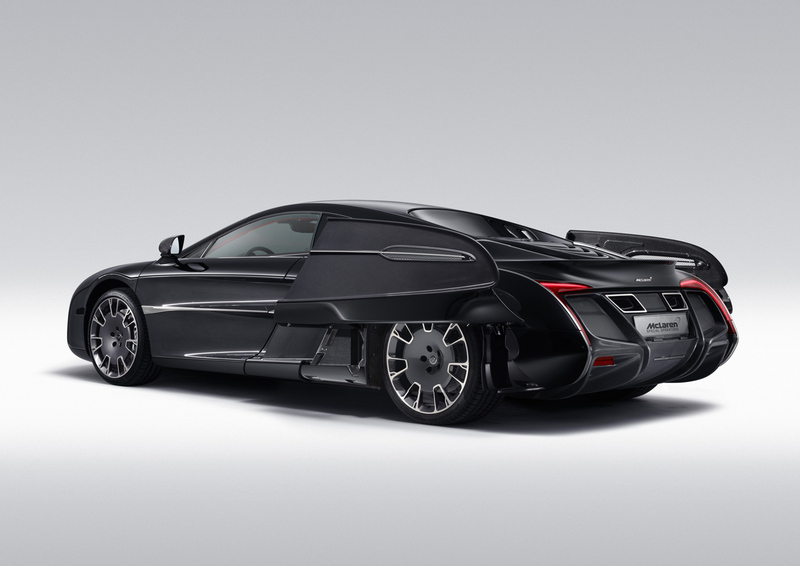 After all, one of the main objectives was to create a car that would look elegant enought to roll up to an opera in… As expected, there’s a lot to focus on with this daring Mclaren X1 one-off, so let’s allow the assorted photos and the official press release (below) to fill-in the necessary details. McLaren Special Operations (MSO), the division of McLaren Automotive responsible for the delivery of bespoke projects, will present a breathtaking one-off supercar at The Quail, an exclusive event on August 17, 2012 that is a highlight of the Pebble Beach weekend in Monterey, USA. 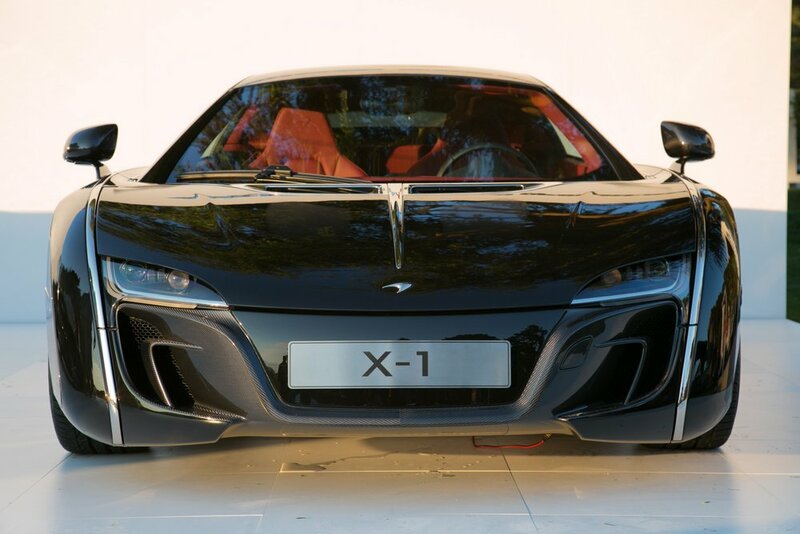 Called the McLaren X-1 and based structurally on the company’s groundbreaking carbon MonoCell but with a totally unique body, it has been created for an anonymous car enthusiast. 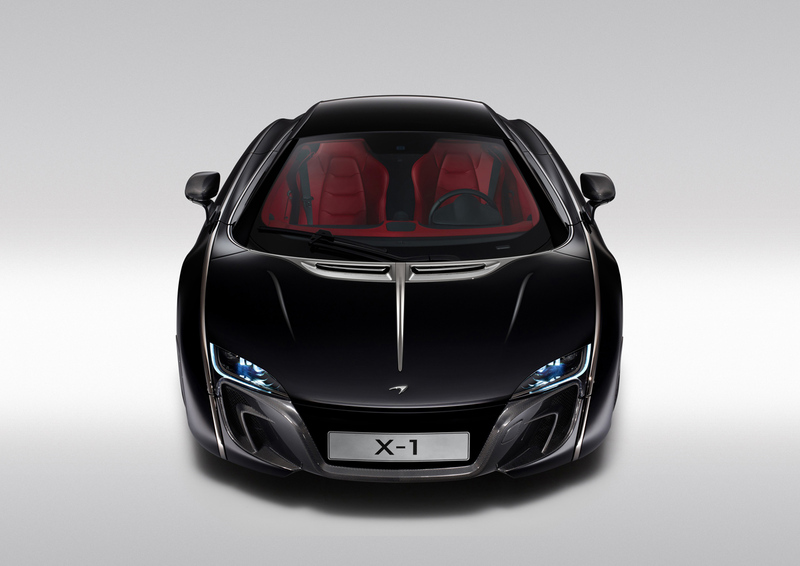 X-1: the brief It’s not every day that a team gets to create something unique in a project that would take the supercar, even by McLaren standards, to a different level. The challenge began with a special brief. In a subsequent meeting, Paul Mackenzie and Design Director Frank Stephenson went to see him to start to explore the sort of car he wanted. That meeting with Mackenzie and Stephenson lasted for almost three hours. From the pages of notes that were gathered, the design team brought together hundreds of images from the world of automotive, architecture, fashion, design and even film. These were then presented to the customer, and were then narrowed down to a mood book, full of inspiring images from which the design spirit of this unique car would be derived. Inspirational cars included a 1961 Facel Vega, a 1953 Chrysler D’Elegance Ghia, a 1959 Buick Electra, a 1939 Mercedes-Benz 540K and a 1971 Citroën SM. There were various examples of architecture – including the Guggenheim museums in New York and Bilbao – plus a Jaeger LeCoultre art deco clock, an Airstream trailer, a Thomas Mann Montblanc pen, a grand piano – and an eggplant. ‘The client liked the shiny texture of the finish,’ notes Stephenson. There was also a black-and-white photo of Audrey Hepburn. ‘The client wanted a competition between external designers – some outside the automotive world – and McLaren’s own designers,’ notes Stephenson. 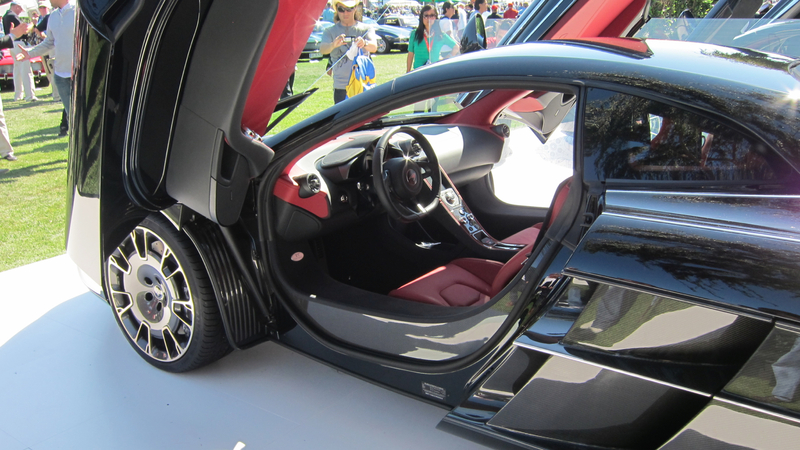 In the end, a design by McLaren’s Korean-born RCA graduate Hong Yeo was chosen, and completed under the direction of Stephenson. One of the biggest design challenges faced by Yeo was that most cars that embody classic elegance and timeless values have front engines and rear-wheel drive proportions. This is the exact opposite of a mid-engined supercar. So a new visual language for the car had to be found which led to months of sketching and modelling to find that perfect visual balance. Stephenson recalls: ‘From this design, we then produced a 30 per cent scale model, then a full-size hard foam model. Initially, we planned to do it all digitally but the client insisted on seeing “real” models. The styling took 18 months to sign off but the result is a design that in a few decades time will be hard to pinpoint exactly when it was created … timeless, therefore, exactly as the client requested. X-1: the creation The X-1 is the most ambitious example yet of MSO’s expertise. It has a whole new body made of advanced materials. Everything is bespoke, even down to the lights and wheels, necessitating new testing and homologation meaning the car took two and a half years to build, a process that began before the styling was signed off. The X-1 had its own development programme because crucially, this wasn’t to be a fragile concept car that would never see tarmac. It was to be a usable car, road legal and capable of travelling at supercar speeds. 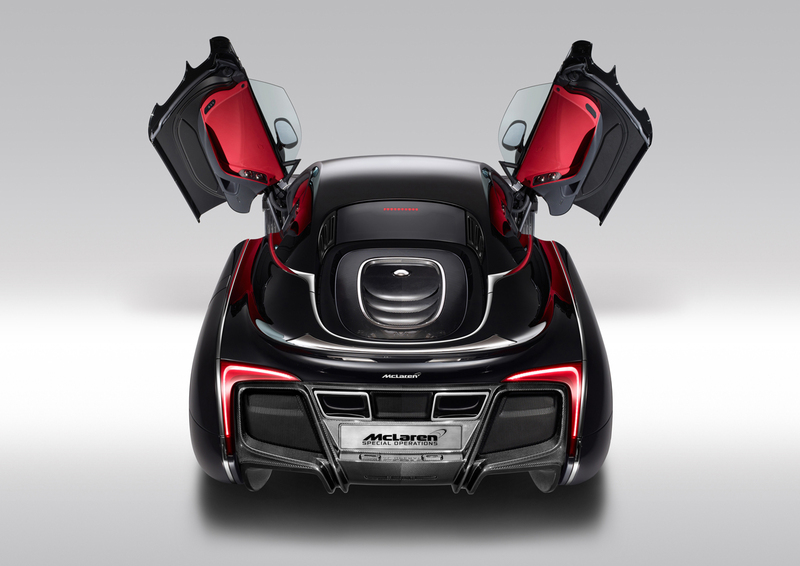 It also had to comfortably seat two adults so although the 12C was already as shrink-wrapped as it could be from a packaging perspective, the ingenious flexibility of the MonoCell allowed the creation of a completely different form while maintaining the engineering purity of a McLaren. A full CFD (Computational Fluid Dynamics) aerodynamic testing schedule ensured high-speed stability, and the car also completed approximately 625 miles of testing including two intensive testing stints at the Idiada circuit in Spain with chief McLaren test driver, Chris Goodwin. After testing, the whole car was meticulously rebuilt, by hand to concours standard. 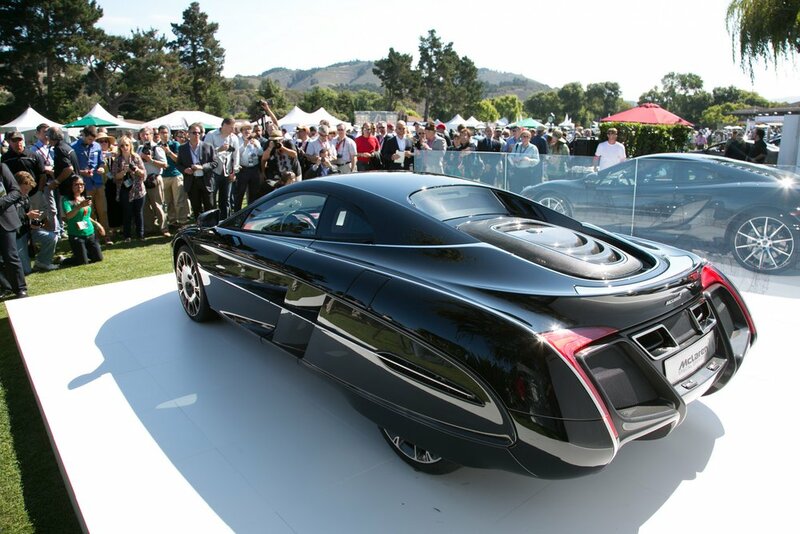 All body panels of the X-1 are made from carbon, and are finished in a rich piano black, as specified by the owner. 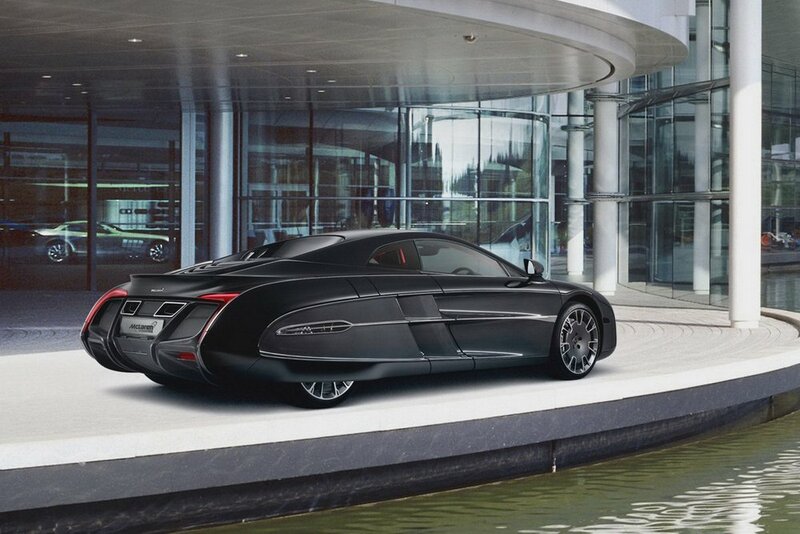 Body sides are lacquered visual carbon fibre. ‘The black paint has no metallic or colour tints and is one of the most challenging colours to paint, but the finish is absolutely exquisite and befits the car perfectly’adds Stephenson. Components were tooled exclusively for the car. 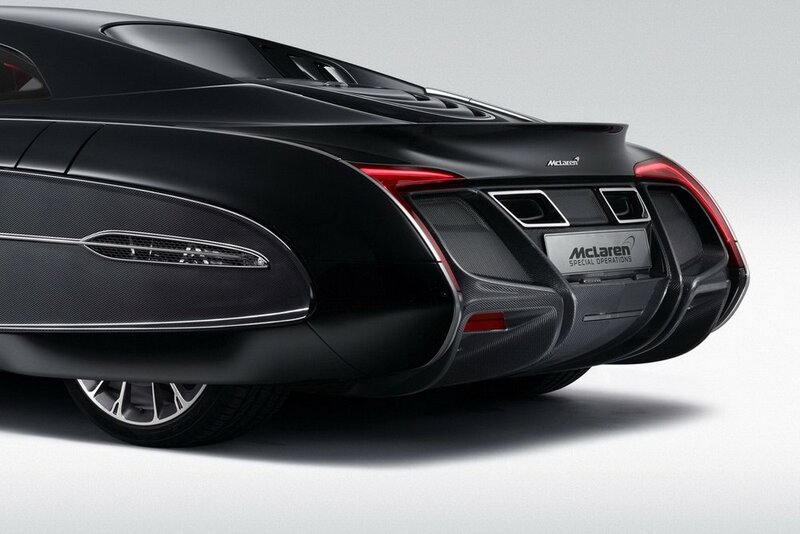 They even include unique head- and taillights, inspired by the McLaren Speed Marque logo. The brightwork is machined from solid aluminium, and a nickel finish is then applied. The McLaren logo in the nose is specially machined from solid aluminium then nickel plated. Wheels are also unique to the X-1, and are diamond turned with a tinted lacquer to complement the exterior nickel-plated brightwork. The brightwork itself is all machined from solid aluminium, and then nickel finished to give the same hue throughout. Even the McLaren Speed Marque badge in the nose is machined from solid aluminium, then nickel plated. The same brightwork is used for the over-the-shoulder rails (as specified by the owner), at the base of the windscreen and the back of the glasshouse, and for the ‘eyebrows’ over the bespoke headlights. The McLaren Airbrake rear wing is also machined from solid aluminium and nickel plated, to complement the rest of the brightwork. Perhaps the most unusual styling feature is the enclosed rear wheels, an upshot of the owner’s desire to have a car reflecting ‘timeless elegance’. The wheels are accessed by carbon panels using, as Stephenson explains, ‘some of the most gorgeous hinges you’ve ever seen’. The styling, too, is in no way compromised by the opening rear wings. The doors have also been developed specifically for the X-1, although they retain the dihedral action and twin hinges, and the roof is also new. Externally, only the glasshouse is carried over from the 12C. The unique body of the X-1 means most dimensions have changed. The X-1 is 4658mm long – 109mm longer than a 12C. Width is 2097mm (with mirrors) – an increase of 188 mm. Despite the revised roofline, the height remains the same, at 1199mm. Kerb weight is almost identical (about 1400kg), as the lighter carbon body panels compensate for the greater length and width. Light weight, as with all McLaren projects, was a priority. While the basic architecture of the interior did not change, personalisation includes bespoke Harissa Red McLaren Nappa leather used for the seats, door and roof trim, and switchgear with machined nickel-coated, aluminium bezels. The carbon interior trim has a titanium weave, to give a magical 3D-like effect. Special Andesite tufted carpet covers the floor. All these changes ensured the X-1 needed special homologation for road use. The car has been thoroughly engineered to be usable and road legal. The X-1 shares the same the major mechanical components as the 12C, including the twin-turbo 625PS engine, giving astonishing acceleration and top speed. 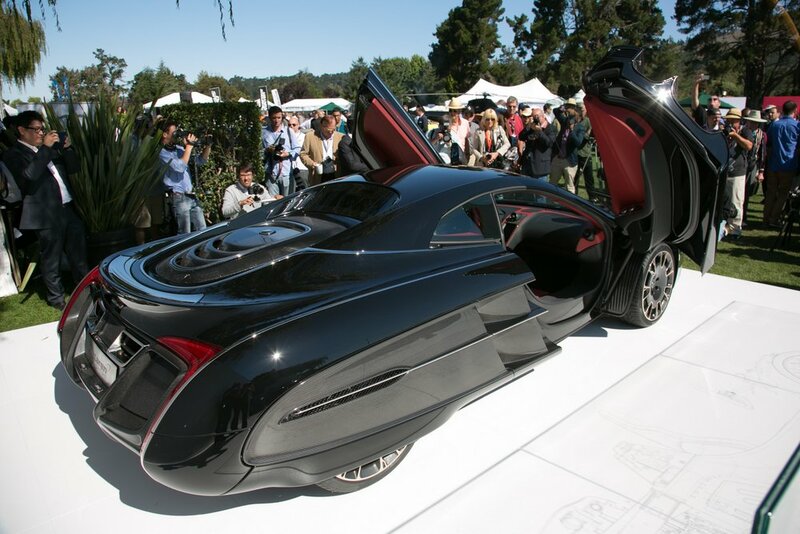 After its debut, on the Monterey Peninsular, the X-1 will return to MSO headquarters in Woking and be carefully checked over before it takes a place in the owner’s collection.